This is my Grandad, Alf Askin from Spondon. He used to research Victoria Cross holders. 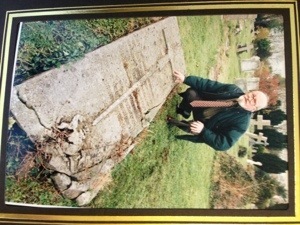 This photo was taken by Giffords grave in Hampshire. 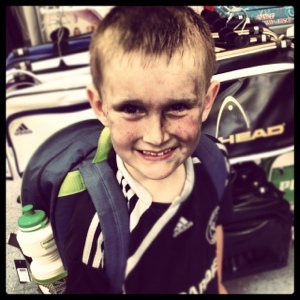 Charlie has been to football training at DE Soccordome, part of Derby County in the community! Everytime I collect him he is black!